Captain Olimar should go portable. Nintendo spends much of its time releasing video games starring familiar characters like Mario, Kirby and Link, so whenever the publisher creates a new intellectual property, the world takes notice. Such was the case in 2001, the year the company released the beloved GameCube title, Pikmin. This charming gem cast players as a tiny spaceman named Captain Olimar, who crashes on a strange planet after a comet hits his spaceship, the S.S. Dolphin. Unable to survive on this planet for more than 30 days, due to its oxygen rich atmosphere, Olimar sets off to locate 30 pieces of his ship with the help of an indigenous species known as the Pikmin, multi-colored critters capable of lifting heavy objects and completing other tasks. Acclaimed for its presentation, control scheme and puzzles, Pikmin was another wonderful hit and million seller from Nintendo. 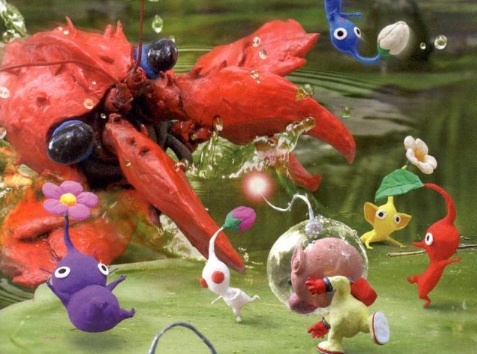 The game was so beloved the company produced a sequel, the aptly titled Pikmin 2, which received even higher praise. That was in 2004. Since then, the Pikmin series vanished into obscurity. This changed in 2010, when Nintendo designer Shigeru Miyamoto revealed that the company was hard at work on a new Pikmin (presumably Pikmin 3), but that was all he divulged. No platform or release date, screens or video. At this point, we don't know if the game's still in development. It could've been cancelled. 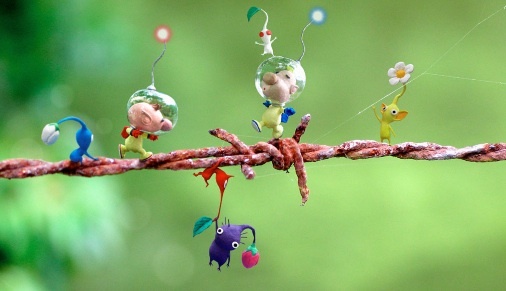 With this in mind, and if this Pikmin 3 exists, we think Nintendo's 3DS would be a perfect fit. The system is definitely capable of handling tons of Pikmin on screen at once, evidenced by graphically intense games like Super Street Fighter IV: 3D Edition and Resident Evil: The Mercenaries 3D; we can only imagine what all those critters would look like in glasses free 3D. What's more, the touch screen would offer superior methods of control, as players could highlight and then direct different groups of aliens. Most importantly, Nintendo would bring this Pikmin to a system on the rise, instead of the Wii, that is clearly on the decline. Bottom line, it's been too long since we've seen Olimar and company. Time for a reunion.